Sunscape is at the center of it all! Relax while surrounded by gorgeous landscaping nestled in the midst of the beautiful Blue Ridge Mountains. Indulge in an evening dip in the hot tub or outdoor pool after a vigorous workout in the cardio center, or relieve stress in Roanoke's only apartment community with an indoor racquetball court. Voted best apartment community in Southwest Roanoke for several years, "The Best of Roanoke Awards" and the 2017 Star Awards Community of the Year, Sunscape is a beautiful and award winning community of quality apartment homes for rent. 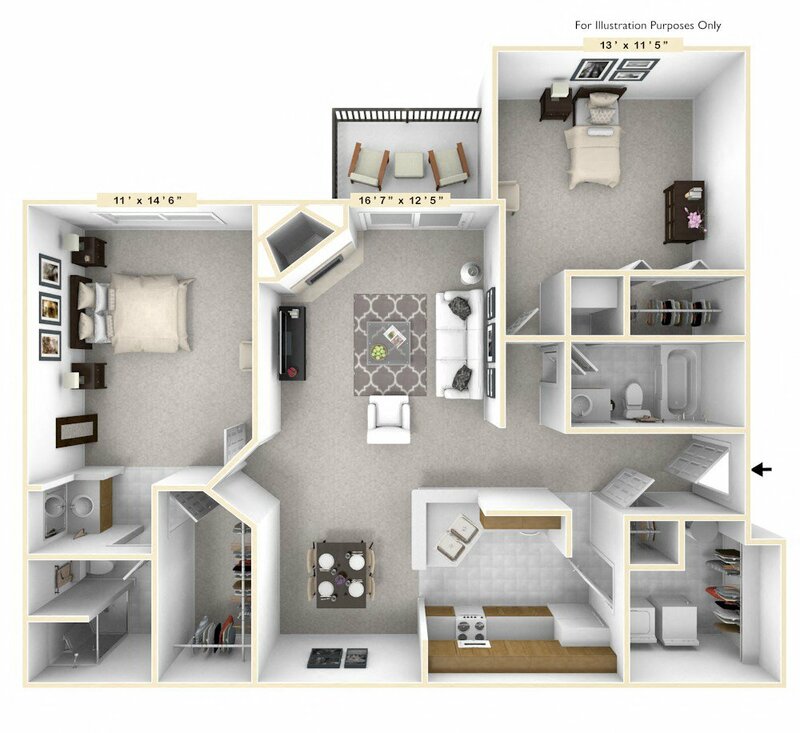 Specializing in same day move-ins, Sunscape features one and two bedroom open concept layouts. Stop in today or schedule a tour and see why Sunscape is a great fit for you! Winner of People's Choice Award for Best Apartment Community in Southwest Roanoke 2016! 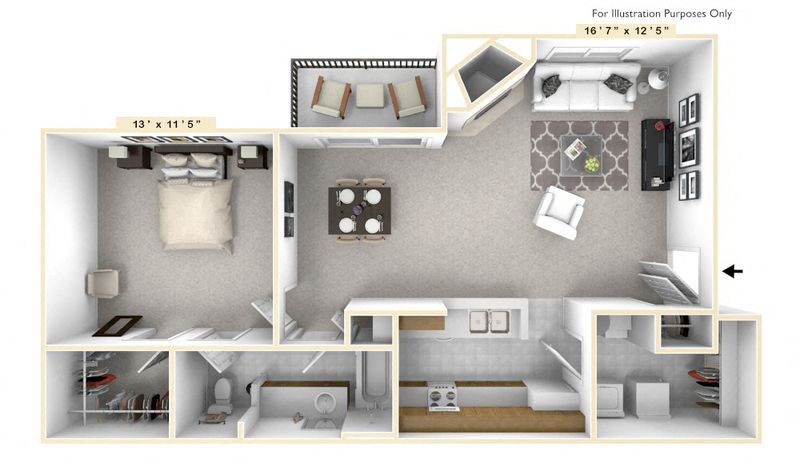 2 Bedroom Floor Plans Now Available, Specializing In Same Day Move-Ins! Award Winning Corporate Suite Program! Specializing in Same Day Move-Ins- Beautiful, fresh Inventory! A fully refundable security deposit of $500, or up to 2 months rent (depending on credit score) is collected at time of move in. There is also a $150 Non-refundable re-decorating fee. Pets are not allowed at a community without prior written consent of the owner. Our residents are welcome to have up to two (2) pets per apartment. Combinations of dogs and cats are permitted. The weight of any individual dog or cat will not exceed seventy-five (75) pounds. The combined weight of any two (2) animals will not exceed one hundred (100) pounds. The following breeds of dogs are not permitted: Pit Bulls, Rottweilers, Chows, Doberman Pinschers, German Shepherds, Siberian Huskies, Alaskan Malamutes, Akitas, American Staffordshire Terriers, Great Danes, Perro do Presa Canarios, Wolf Hybrids, Dogo Argentino, Fila Brasileiro, Japanese Tosa or any dog that has any previously listed breed's lineage. Only commonly accepted breeds of domestic cats are permitted under the Addendum. Caged domestic birds, fish and verified service animals for residents with disabilities are permitted without need of the Addendum. All other species of animals kept as a pet(s) by Resident(s) must be specifically approved in writing by Owner. This property uses automated credit scoring to approve or decline applications. Credit scoring treats all applicants objectively because it is based on real data and statistics. An application may be denied for poor or insufficient credit, insufficient income or assets, negative rental history, or criminal history. Each applicant is required to complete a lease application and, if applicable, pay a nonrefundable Processing Fee. An applicant cannot pose a threat to the safety of others. Any outstanding balance with the local electric utility must be paid prior to move-in.